Soprano Nola Richardson is rapidly making her mark as an "especially impressive" (The New York Times) young soloist and has been praised by the Washington Post for her "astonishing balance and accuracy,” “crystalline diction” and “natural-sounding ease.” Her wide repertoire spans from music of the medieval period to several world premieres, and she performs frequently throughout the United States. Some highlights of her current and past seasons include her major symphony debut as the featured soloist with the Baltimore Symphony Orchestra performing BWV 51 and Scarlatti's Su le Sponde del Tebro in the program "All Baroque”; an appearance as a soloist with the Boston Pops under Keith Lockhart in "Simply Sondheim"; Handel's Messiah with the Colorado Symphony; a tour to Russia, Estonia, and Latvia performing the soprano solos in Arvo Pärt's Passio with the Yale Schola Cantorum under conductor David Hill; the premiere of Michael Gandolfi’s Carroll in Numberland (alongside soprano Dawn Upshaw) at Tanglewood; and the First Lady in Clarion Music Society’s production of Die Zauberflöte. Nola's 2017-2018 season included her debuts with Seraphic Fire (St. Matthew Passion), the Bethlehem Bach Choir (BWV 68), American Classical Orchestra (C.P.E. Bach's Magnificat), the Madison Bach Musicians (Dido and Aeneas), and the National Cathedral (in concert with trumpeter Josh Cohen). She will made returning appearances with the Baltimore Choral Arts Society, Trinity Wall Street, Colorado Bach Ensemble, and Clarion among others. Nola frequently appears as a soloist with many orchestras, early and new music ensembles, and choral societies around the country. Her recent performances of Handel's La Resurrezione and a program of French Baroque music by Corrette and Mondonville with the American Bach Soloists drew praise for her "lusciously polished... exemplary impassioned singing" (San Francisco Classical Voice). Other recent appearances include Handel's Messiah with the Colorado Bach Ensemble; the St. Matthew Passion with the Messiah Festival of the Arts; works of Charpentier and Couperin with Les Délices of Cleveland,OH; Mendelssohn's Elijah with the Oratorio Chorale of Portland, ME; Bach's Mass in B Minor with the Master Chorale of South Florida and the Baltimore Choral Arts Society; the St. John Passion with Bach in Baltimore; Beethoven's Missa Solemnis with the Chorus Pro Musica of Boston, MA; Bach's Coffee Cantata with Mountainside Baroque; Bach's Magnificat with the New Dominion Chorale; Mozart's Die Zauberflöte with The Clarion Music Society; and the world premiere of Ezra Laderman's Voices with New Music New Haven and the Argus Quartet. Particularly noted for her interpretive skills in the Baroque repertoire, Nola was a 2016 First Prize winner in the Bethlehem Bach Competition and took home the Third Prize and Audience Favorite award in the 2016 Handel Aria Competition in Madison, WI. She was accepted into the prestigious Yale Institute of Sacred Music program in 2014, where she had the opportunity to solo under the batons of renowned conductors Masaaki Suzuki, Simon Carrington, Matthew Halls, Nicholas McGegan, and David Hill. 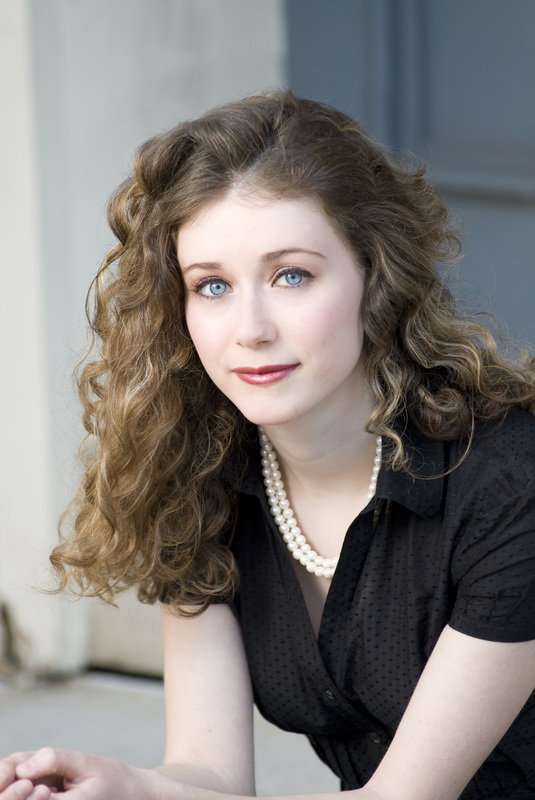 While a student at Yale, she performed as a soloist in Monteverdi's Vespers of 1610; Haydn's Creation; Barber's Knoxville Summer of 1915; Mozart's Requiem; Bach's Lutheran Masses and BWV 10; Handel's Dixit Dominus; Charpentier's Te Deum; the world premiere of Roderick William's O Brother Man; Stravinsky's Les Noces; Zelenka's Missa dei Patris; and numerous recitals and chamber music performances ranging from Gregorian chant and lute song to the music of Libby Larsen and Judith Weir. Nola was a vocal fellow at Tanglewood in 2015, and a Marc and Eva Stern Fellow at Songfest in 2017. She has been a recurrent soloist at the Blue Hill Bach Festival and a guest soloist in the 2016 Norfolk Chamber Music and the 2017 Bay Chamber Concerts' Summer Screen Door Festival where she performed Handel's Apollo e Dafne and Conrad Cummings' Where I Live. In the summer of 2013, she was selected to be a young artist with the Boston Early Music Festival where she appeared in the North American stage premiere of Handel’s first opera, Almira, and also covered the title role. Other operatic roles include Susanna in Le Nozze di Figaro and Madame Silberklang in Der Schauspieldirektor with Bel Cantanti Opera, Pamina in Die Zauberflöte with Maryland Concert Opera, Gianetta in L'elisir D'amore with Emerald City Opera, Calisto in La Calisto with Peabody Opera Theater, and the Dew Fairy and Gretel (cover) in Hansel and Gretel with Chesapeake Chamber Opera and Maryland Concert Opera.